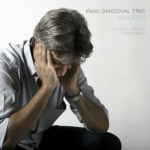 The complete 3 cd-set “The Estonian Trilogy” has been published. 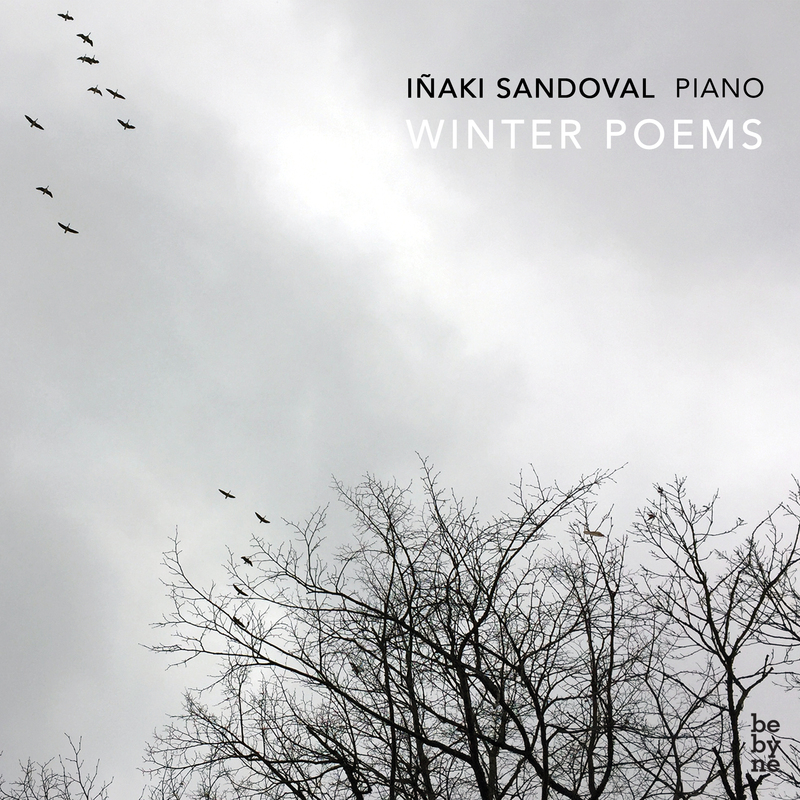 Featuring the 3 solo piano studio albums: “Winter Poems”, “Mimesis”, and “Harmonic Etudes”. 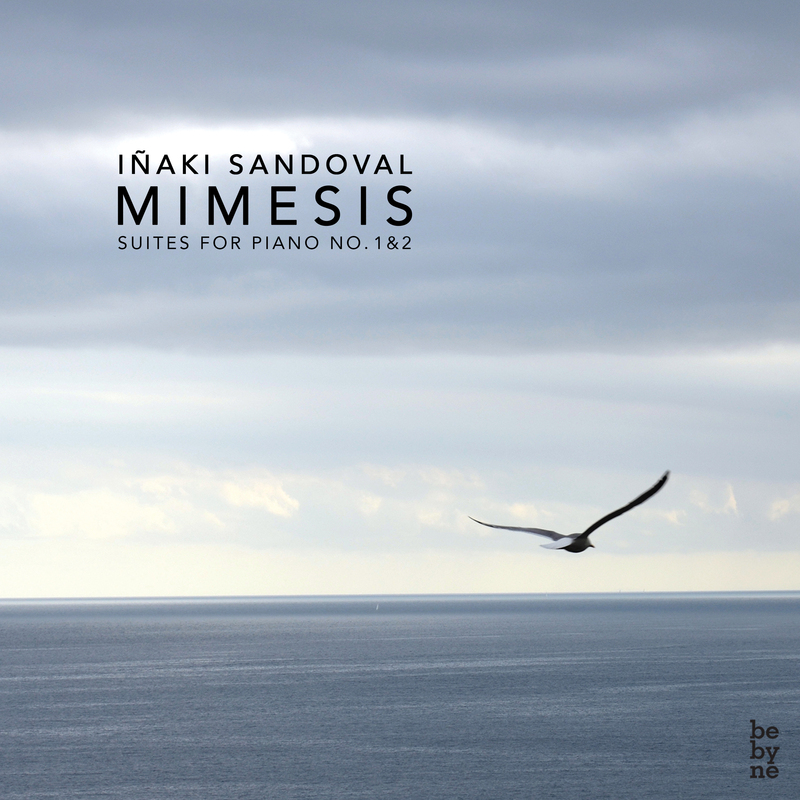 Introspective, quiet and minimalistic, all-new original compositions for solo piano. 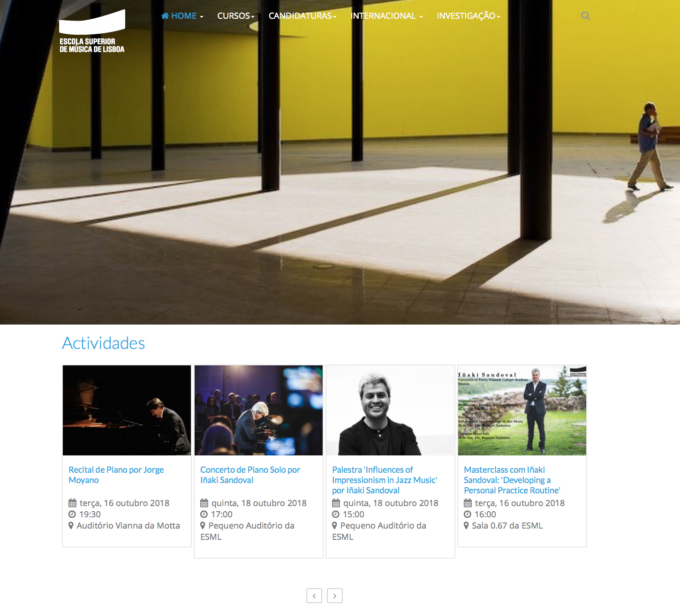 The music is inspired by Estonia: its people, traditions, and culture, its beautiful nature and landscapes, forests, lakes and rivers, its peacefulness, winter, solitude, and silence. 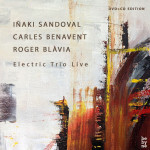 Under the prism of jazz and improvisation, the language is closer to the classical and impressionist music of the 20th century with influences of minimalism, folk, and popular music. “The Estonian Trilogy” invites to withdrawal, meditation, and inner reflection, even to listen with closed eyes. “Harmonic Etudes”, third, and last part of the “Estonian Trilogy”, released on June 21st! Solo piano original works exploring piano sonorities and textures, as impressionistic painters searched for their personal color palette. 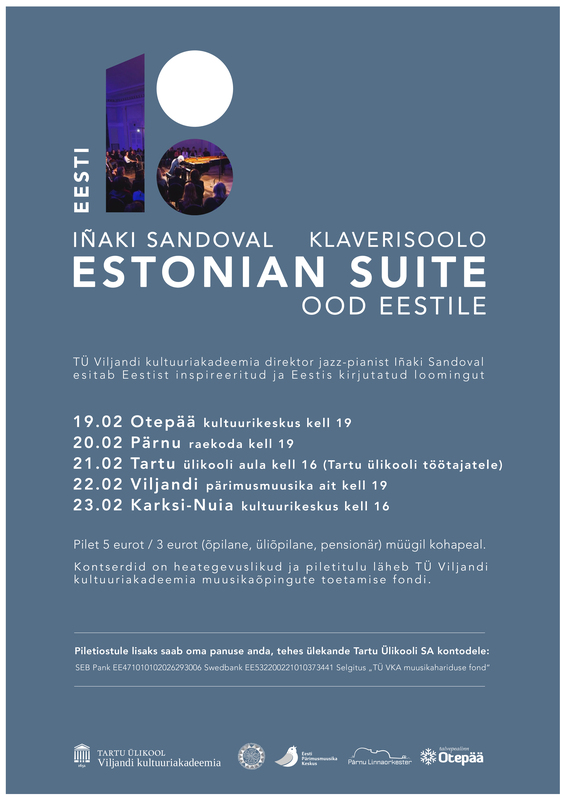 With the occasion of the celebrations of the 100 anniversary of Estonian independence (February 24, 1918-2018), Iñaki will perform 5 consecutive solo piano concerts in Estonia, presenting the work “Estonian Suite”, just released. The funds raised from the concerts will go toward scholarship programs for young students. 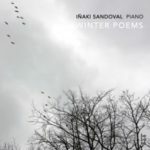 Solo piano album “Winter Poems”, first part of the Estonian Trilogy, to be released on December 21st. Available in all stores. 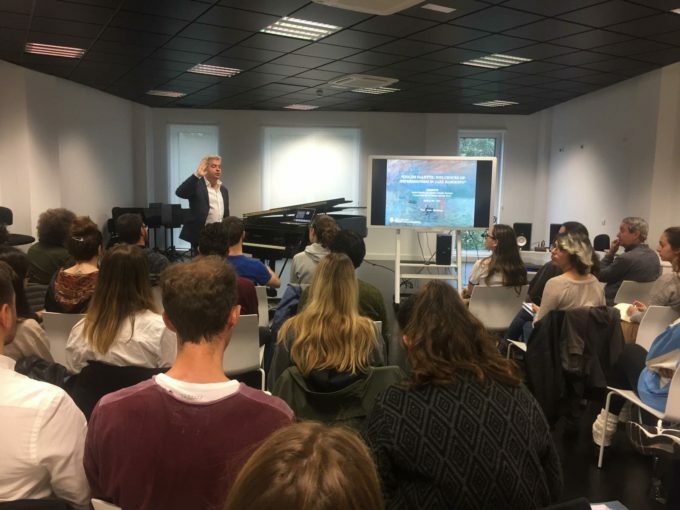 On 26 October at 16:15, UT Professor of Jazz Music Iñaki Sandoval will deliver his inaugural lecture on the influences of Impressionism in jazz harmony. The lecture is in English and is held in the assembly hall of the University of Tartu. Impressionist music follows the same concept as employed by Impressionist paintings, giving just an “impression” of the figure represented, with no sound being more important that the other and without specifically outlining its characteristics. Harmony in jazz music is typically based on a prevailing vertical approach, i.e. tonality. However, as taken from French Impressionism, harmony can also be approached in a horizontal or modal manner, considering primarily the mode and scale instead of the guide tones. Present-day jazz musicians regularly incorporate classical music concepts, including elements of Impressionism, in their music and the stylistic division lines across genres have become blurred over time. This primary characteristic defines jazz music as an all-encompassing art form that combines a variety of music resources to develop a creative and often spontaneous musical expression. Jazz musicians who are well-known for their Impressionistic approach include, for example, Miles Davis and John Coltrane. 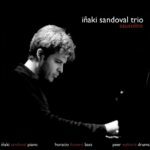 Iñaki Sandoval is Professor of Jazz Music and Director of Viljandi Culture Academy of the Faculty of Arts and Humanities at the University of Tartu. 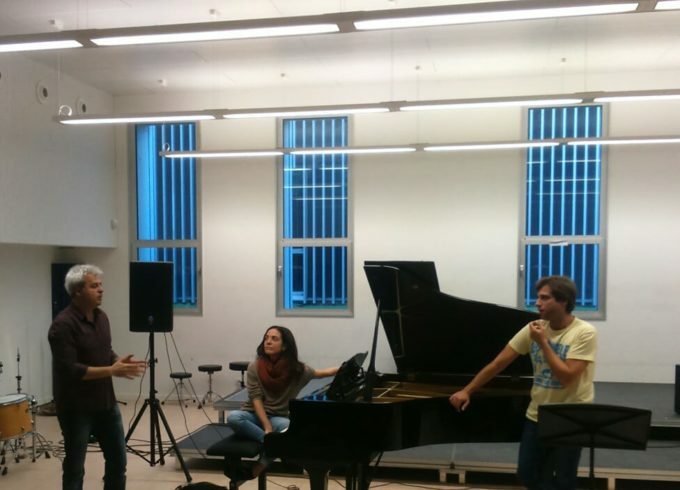 He has formerly served as the director of the jazz department and the dean of graduate studies at the Liceu Conservatory in Barcelona, Spain. 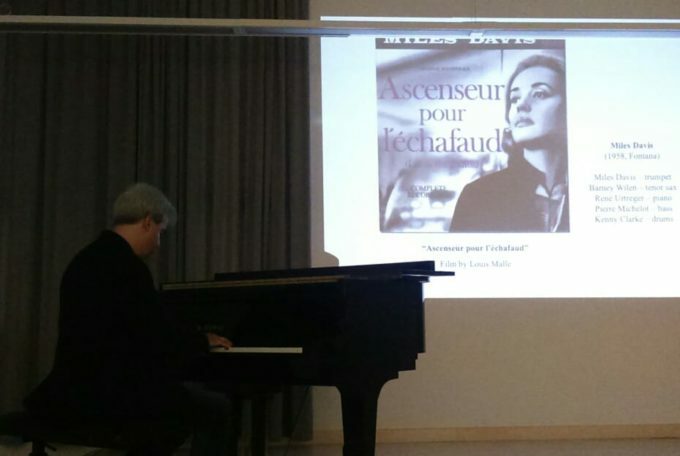 He is a pianist and composer, with bachelor’s degrees in both classical and jazz piano performance, master’s degree in jazz piano performance and PhD in Art History and Musicology. Over the last two decades, he has developed a brilliant artistic career, performing all over the world, collaborating and recording with internationally acclaimed musicians. He has published five albums as a leader and is preparing for the upcoming publication of “Estonian Trilogy”, a collection of three studio albums, which will be released in 2018. 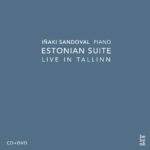 ESTONIAN SUITE: LIVE IN TALLINN (CD&DVD) JUST RELEASED! 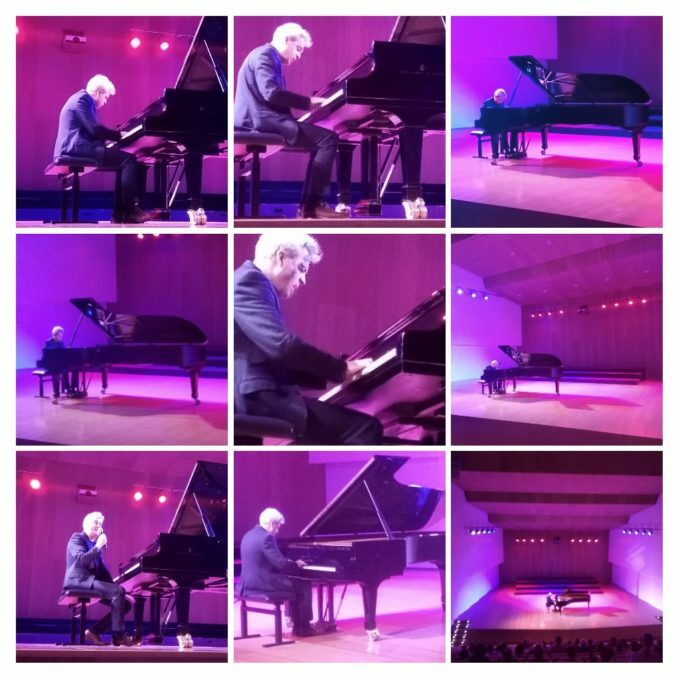 CD&DVD Solo piano concert recorded live in Tallinn on March 15, 2017, featuring works from The Estonian Trilogy studio albums “Winter Poems”, “Mimesis”, and “Harmonic Etudes”, which will be released in 2018. 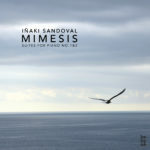 All brand new compositions by Iñaki Sandoval. 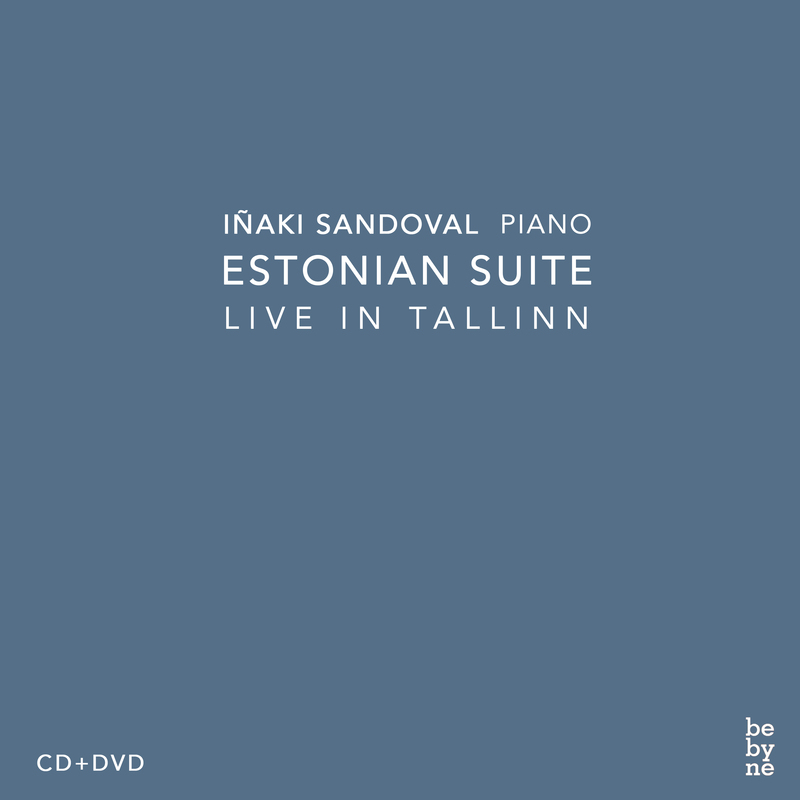 The music of “Estonian Suite: Live in Tallinn” is inspired by Estonia: its people, traditions and culture, its beautiful nature and landscapes, forests, lakes and rivers, its peacefulness, winter, solitude and silence. Under the prism of jazz and improvisation, the language is closer to the classical and impressionist music of the 20th century with influences of minimalism, folk and popular music. “Estonian Suite” invites to withdrawal, meditation and inner reflection, even to listen with closed eyes. The piano is located in the middle of the concert hall, with soft lighting and the audience forming a circle around the interpreter. 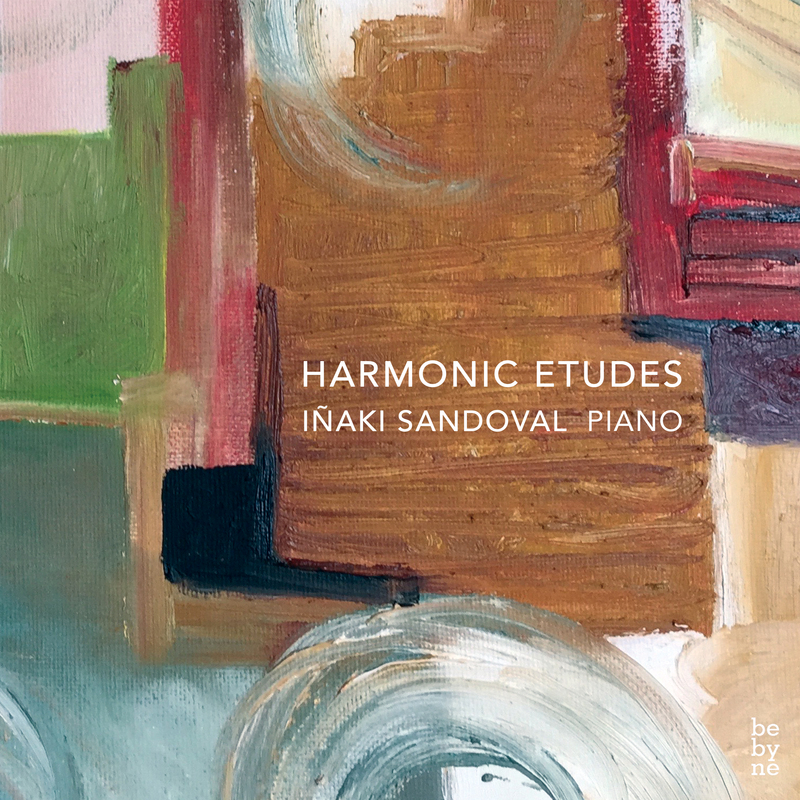 The proximity of the artist and the audience make it possible to listen actively and closely, receiving directly the vibrations of the strings of the piano without intermediation. This is when the music no longer belongs to the artist, but to the listener.